The Acton-Boxborough Farmers Market is conveniently located in West Acton Village, just one block south from the intersection of Route 111 and Central Street. 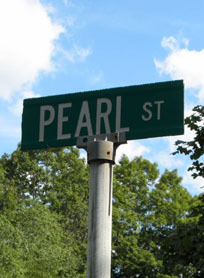 The market is located on tree-lined Pearl Street, which runs parallel to Route 111 and is easily accessible via routes 2 and 495. Parking for the ABFM is available on the west side of Windsor Avenue, on Central Street, on Massachusetts Avenue, and behind the Central Street firehouse.